Mt. 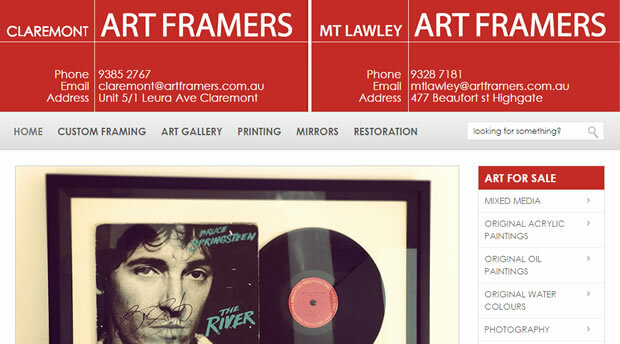 Lawley and Claremont Art Framers’ new site included a custom programmed catalogue management system. The catalogue required separate layout functionality for Art Frames and also for their Products catalogue. The general graphic design was provided for Cyanweb by the client. Cyanweb converted the design to a custom WordPress theme from scratch. The web site and customer email are also hosted on our own business grade cPanel dedicated servers.